Australia and New Zealand Banking Group Ltd (ANZ) has appointed Tracy Ong as its newest Chief Representative of ANZ Malaysia, following her departure from Bank of America Merrill Lynch. 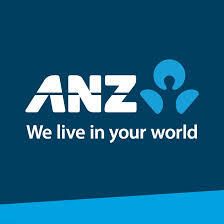 Over the past couple months ANZ has made a handful of changes to its executive team, including the installment of Huang Xiaoguang CEO as its Head of Greater China and Managing Director, Mark Whelan to its Board. In its most recent move, Miss Ong joins ANZ from Bank of America Merrill Lynch, Malaysia, having worked most recently in the role of Managing Director, Head of Corporate Banking. Prior to this she was also the Executive Director and Deputy Chief Executive at Danajamin Nasional Bhd, Malaysia. Miss Ong will be succeeding Fauziah Hisham at ANZ Malaysia, who retired in July after a six-year tenure.